Lose weight, feel better and lower your cancer risk with our free 12-week interactive online program! You’ll learn how to turn weekly eat smart and move more challenges into life-long healthy habits. 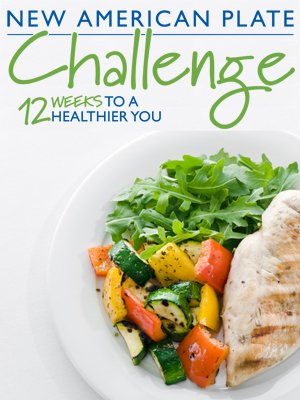 Each week you receive a new challenge to eat healthier or get more active. These challenges are flexible, so you can fit them into your life at your own pace. You will get tips and strategies to help you meet the challenge, along with recipes, menus, grocery shopping lists and free resources. To help you stay motivated and learn from others, you’ll be able to share questions, progress, frustrations and successes with AICR dietitians and others taking the Challenge on the private Facebook group. Research shows that setting goals, tracking your progress and getting support from others helps you make and stick with new healthy habits. Start lowering your cancer risk with your next meal and your next walk. Sign up here for the New American Plate Challenge.